David Katz. 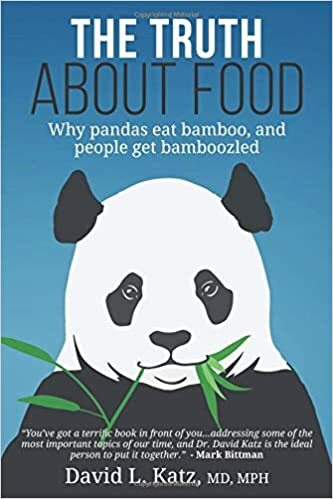 The Truth About Food: Why Pandas Eat Bamboo and People Get Bamboozled. Independently Published, 2018. That answer is obvious. Profit. If only he didn’t write at such length to get to that point—this new book is 752 pages, a doorstop. It is, as far as I can tell, a compendium of his published articles in Huffington Post and other places, organized into two main sections of three chapters each: Lies (Lies, Statistics, and Damned Lies) and Truth (The Truth, Nothing but the Truth, and The Whole Truth). Generally revolutionary, intended to replace all that was known before until they, in turn, are replaced by newer lies. Generally evolutionary, intended to add to and modify all that was known before. Much of the book expands on those concepts. Reading the Lies section will teach you a lot about how science works in theory and practice. The Truth section will teach you a lot about nutrition. With that said, I wish this book had been edited, and firmly. It reads as if the online articles were simply reprinted as they appeared online, but with references added (the underlining of the former hyperlinks remains). The Table of Contents lists just the six main chapters, but chapter 1 is more than 200 pages long. The list of Lies is given on page 42 but it’s hard to know what they cover, as they are organized by fallacy (e.g., false equivalence fallacy, ripple-free pond fallacy). 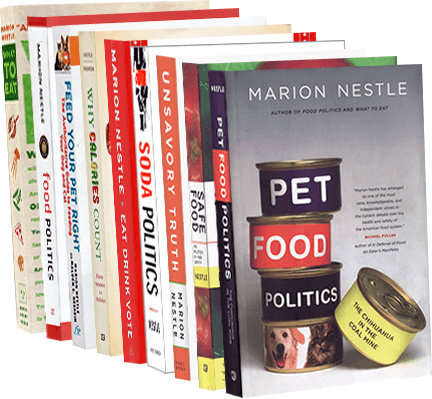 The topics covered in Truths are listed on pages 311-313; these cover matters you might want to know about such as cholesterol, cooking oils, lectins, and Paleo diet, in alphabetical order. I mention these organizational details because—and I can scarcely believe it—this 752-page book has no index. If you want to find Katz’s well-worth-reading thoughts on specific nutrition studies or commentaries on nutrition science (the Lies), you are out of luck. You might be able to guess that his critique of Gwyneth Paltrow’s nutrition advice can be found under what he calls the “celebrity equals expertise fallacy,” but if you want to read his analysis of research on low-carb diets, for example, you will have to read through a lot to find it. This is a shame, because his analyses are often spot-on. The proceeds from this book go to the True Health Initiative, a nonprofit that Katz founded and now heads.